On Monday evening, Caribou City Council approved placing a non-binding question on the Nov. 6 ballot which would ask residents if they approve raising taxes slightly in order to offer a property tax discount for longtime, low-income senior residents. CARIBOU, Maine — On Monday evening, Caribou City Council approved placing a non-binding question on the Nov. 6 ballot which would ask residents if they approve raising taxes slightly in order to offer a property tax discount for longtime, low-income senior residents. 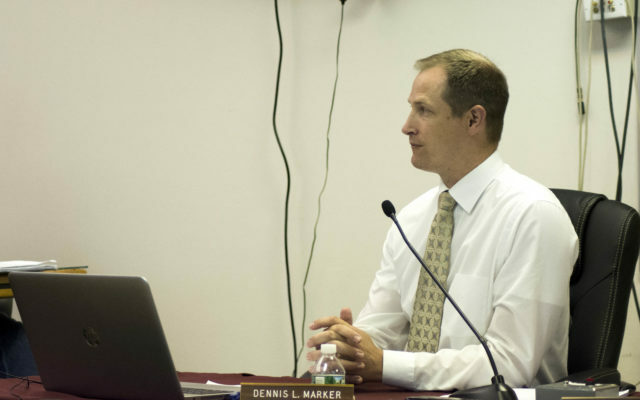 Caribou City Manager Dennis Marker proposed two separate programs during a special Aug. 20 council meeting. One option is based on income and would require all eligible citizens to detail their income and how long they have resided in the city. The city would also need to determine at what age residents are eligible for the discount. Another option, Marker said, would have the city match any benefits seniors earn through the state property tax reimbursement. He said this option would be the easier of the two, as the city can determine those who qualify for the state benefit and then set aside a maximum amount to spend on the city’s match. If city officials chose this option, however, some applicants may need to wait up to a year if they have not previously applied for the state benefit. Mayor David Martin said the city has “two good outlines to work with,” adding that the big question is if council favors putting this out to voters. Councilor Phil McDonough said city councilors have an obligation to “keep taxes at a minimum,” and raising taxes to help someone else “defeats the purpose” of that obligation. He suggested allocating revenue to assist seniors as opposed to raising property taxes. Marker said city officials could still work to determine a method of reimbursement through other revenue sources after the election. The mayor said that if the vote is 51-49, or otherwise very close, then the city will likely not move forward with the program, but if there is significant community support then the matter is worth exploring. Councilor Mark Goughan said while he is not against the program, he would like to see more specific details spelled out for voters. He said he wanted to make it clear that he does support tax relief for Caribou’s low-income citizens. The council then voted in favor of adding the question to the Nov. 6 ballot.